It's teeny, it's tiny. But unfold it and you'll hold the whole of the UAE in your hands. 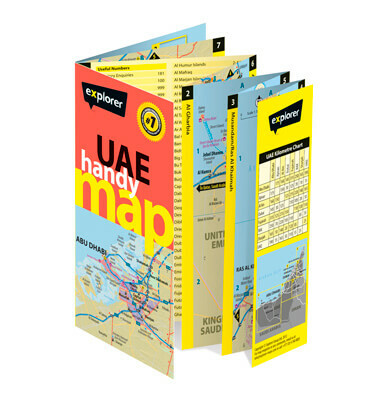 In elegant detail, the pocket-sized UAE Handy Map features cities, towns and villages, as well as major roads, highways, key landmarks, mountains and wadis.